Now enrolling for After School Care!!!! Check us out on Facebook at Santa Fe Sports and Santa Fe Sports Cheer! Look under our Event tab for info on our upcoming cheer team tryouts and Summer Showcase! Santa Fe Sports has it all! 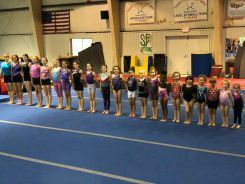 Check out our Competitive Gymnastics Team!!!!! 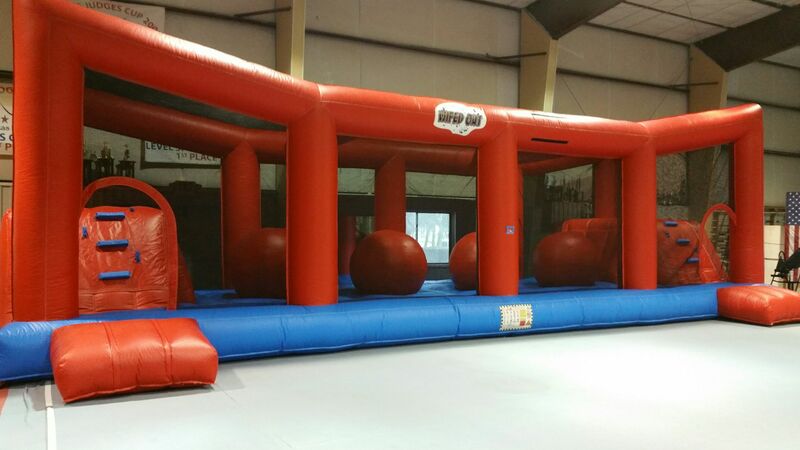 Do you have what it takes to beat this obstacle course? Santa Fe Sports teaches life long skills in a safe and fun environment. Santa Fe Sports is not only a great indoor sport that provides fitness for our children, it teaches social skills, self esteem, and mental focus. This organization has been teaching students in the Galveston County area for over 20 successful years. Students of Dana's have gone on to such successful endeavors as attending Houston High School of Performing Arts, dancing for professional dance companies, college scholarships in both dance and gymnastics, and gymnastics state and regional championship titles. Many of students have gone on to become successful instructors and entrepreneurs in the field of dance and gymnastics. 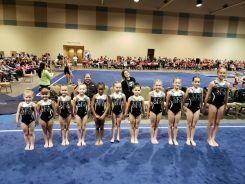 Instructors at Santa Fe Sports are experienced and safety certified through United States Association of Gymnastics (USAG) to insure your child's safety.